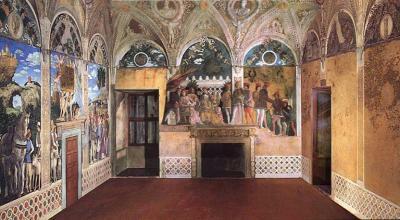 MANTUA – Mategna’s work has been restored following damage caused by May 2012 earthquakes. Located in the north eastern tower of the city’s Castle of St George, the Camera degli Sposi (literally ‘bridal chamber’, also known as the ‘camera picta’, or ‘painted room’) is famous for Andrea Mategna’s illusionistic paintings, which fresco the room’s walls and ceiling. 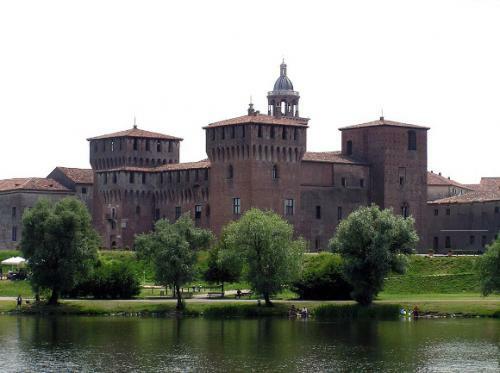 Commissioned by Ludovico III Giorgio, Marquis of Mantua, the work was completed between 1465 and 1474. 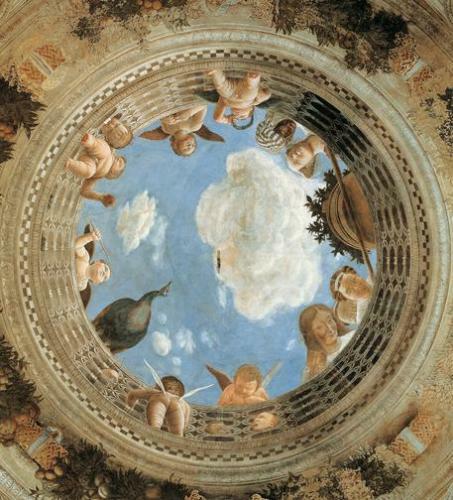 Thought to be one of the earliest di sotto in sù paintings, the room’s ceiling features an oculus with number of cherubs peering down, apparently through an opening to a blue sky above. The Ducal Palace suffered serious structural damage during a series of earthquakes across Northern Italy in May and June 2012, the strongest of which registered a magnitude of 5.8 on the Richter scale. Since then, other than a for short period in 2014, Mantegna’s work has been off-limits to the public, as structural adjustments to the tower have been carried out. “Today is an important day both for Mantua and for Italy, which has regained one of the masterpieces of the Renaissance,” stated Culture and Tourism Minister Dario Franceschini at the reopening ceremony. Initially, visits to the Ducal Palace will be regulated strictly, with a maximum of 1,500 visitors permitted each day in groups of no larger than 25 people. The ceiling in the Camera degli Sposi. Photo: ANSA.